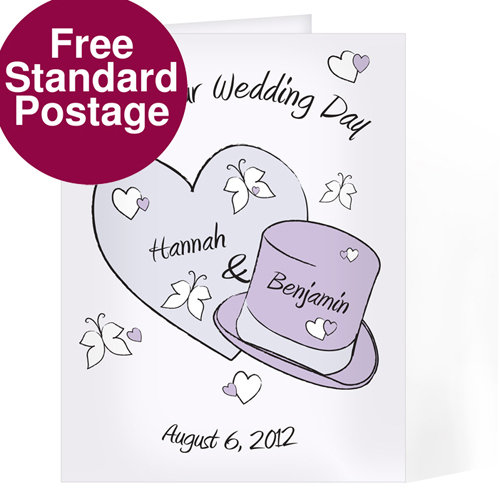 Personalise with bride and groom's name up to 12 characters per name and the date of the wedding up to 20 characters. Then add a message to the inside over four lines up to 20 characters on each line. The wording 'On your Wedding Day' is standard.